For the vacant BBBofC British light heavyweight title, Olympic bronze medal winner Joshua Buatsi (10-0, 8 KOs) took out Liam Conroy (16-4-1, 7 KOs) in the third round. Coming in, Conroy stopped five opponents in a row – including Joe McIntyre in two back in December. He was also on a nine fight win streak. 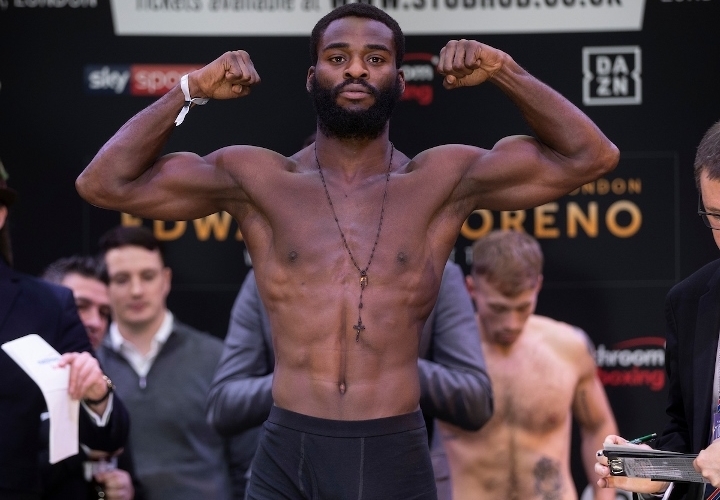 Buatsi was on the back of his most impressive win to date, when he blew away veteran Renold Quinlan in a single round. He stopped his last three opponents in the first round. Buatsi started fast, throwing quick punches at Conroy, who was on the back foot and got right on the defense. Conroy was able to land a shot here and there in the second, with Buatsi coming right back with counter shots. Both were going to the body. A big right hand forced Conroy to back up. When Buatsi came in, Conroy began firing to the body to back him off. In the third, a big right hook, following by a combination, sent Conroy down to the mat for the first time as a light heavyweight. Conroy made it up and took a series of big shots that sent him down face first. He was able to beat the count, but the contest was waved off.